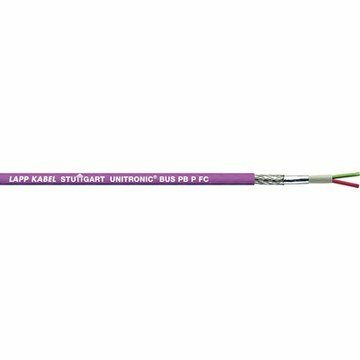 Flame retardant data cable for the fieldbus system PROFIBUS DP and PROFIBUS FMS. The cable is for applications with fixed installation and has got a “fast connect” design. It is designed for the system-defined transmission rates of 9.6 Kbit/s up to 12 Mbit/s, the transmission characteristics are conform to the system and guarantee a high operating security during the data transmission.